Brodie had been fishing this small river since he could remember — Callum [his brother] also. They knew every bend and pool, every potential crossing point, every placid, midge-hovered eddy. It had a calming effect on him… memories skittered through his mind, came and went like butterflies or sun dapples beneath breeze-shifted branches; he saw himself as a little boy with his first rod, remembered the charge and thrill of his first catch. Maybe this small river and its wilderness should be ‘home’ to him, he thought, not the manse or the village. He should carefully store the memories of this day and recall it whenever he felt lonely or homesick. But, as the title suggests, this novel isn’t just a coming-of-age story. A creative thinker, in Paris Brodie devises a scheme whereby a celebrated pianist will use a Channon exclusively and thus publicize the brand. The idea works, but with consequences that will change Brodie’s life; John Kilbarron, “the Irish Liszt,” signs on, sweeping Brodie into his mercurial, if fading, orbit. One moon encircling planet Kilbarron is Russian soprano Lika Blum, his mistress, for whom Brodie falls, hard. Another moon is the pianist’s boorish, mistrustful brother, Malachi, who worships John and acts as his business manager. To no surprise, life gets very complicated. It also travels to different places, and one of the pleasures of this novel is how Boyd describes them all. Brodie’s character appeals, in part, because he takes his many losses without an ounce of self-pity, while enjoying happiness to the fullest. He draws people to him wherever he goes, and his love for and understanding of pianos makes his work a fascinating art. 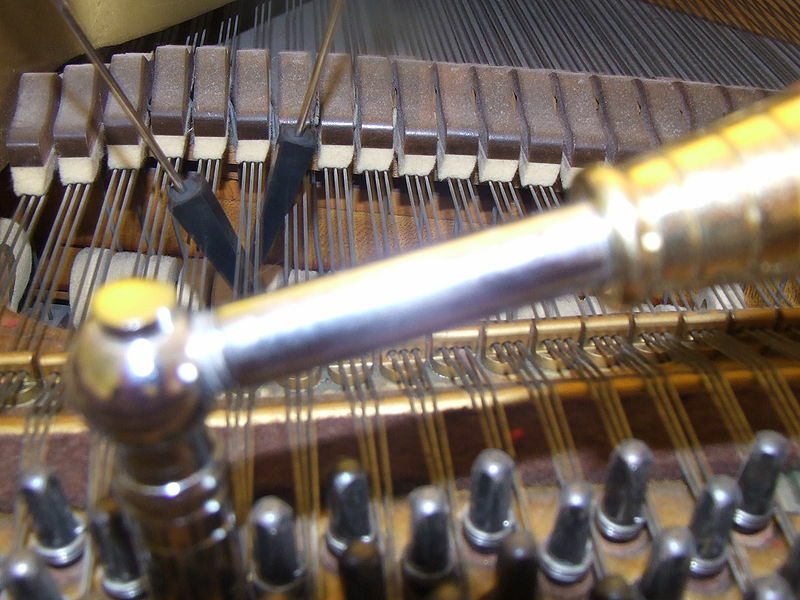 The scenes in which he repairs or tunes these magnificent instruments make wonderful reading, a behind-the-scenes glimpse of a virtuoso’s necessary assistant that no one ever meets. Brodie trusts people easily, perhaps too much so — strange, given his corrupt, vicious father — and suffers for it. His ingenuity bears fruit, but others seem destined to appropriate it. Accordingly, bad things do happen to him; one theme of Love Is Blind is how quickly happiness and contentment can dissolve. Still, those reversals have to do with others’ weakness, not his, so at times, I wonder whether he’s a little too good to be true. His sole major flaw seems to be vengefulness, but you have to push him very hard before he unleashes it, testament to his patience. The more obvious weak link is Malachi, whose antagonism has no apparent root except a self -sacrificial brother worship, which Boyd explains but never explores. As an antagonist, Malachi is satisfyingly tireless, but after a while, he becomes more of a device than a person. I wish Lika came into closer focus as well, for she seems a passionate, seductive, willing beauty, perhaps too convenient for Brodie by half. He’s the star of the show, and what you think about that fact or the man himself will decide whether Love Is Blind is for you. Despite these drawbacks, though, I like this novel, and I think Brodie’s story makes for beautiful, poignant reading.